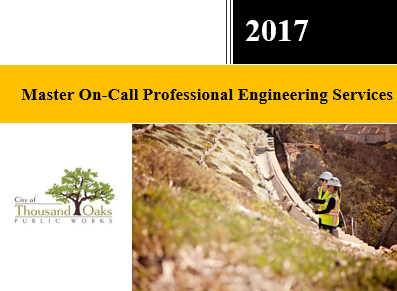 Whitson CM will continue to provide stormwater and environmental engineering services to the City of Thousand Oaks. WCM has been deemed qualified by the City to perform On-Call Professional Engineering Services. The contract will begin this year and expire in 2020. We will add updates when future projects occur. Whitson CM assisted the City in developing a program to become and remain in compliance with the City’s stormwater permit requirements. The City is signatory to the Ventura County’s MS4 permit and is reducing the TMDL pollutants being discharged into receiving waters. WCM’s first task order was to investigate and install trash reduction technologies including ARS and CPS systems. This investigation included reviews of reduction systems installed throughout Southern California, the systems’ functionality and durability, and the associated costs with each system. Ultimately, WCM developed a new trash intercepting product to capture trash at the face of the inlet that was reliable and durable. WCM was able to reduce the costs of the trash exclusion system from $90,000 to below $30,000 for the first units installed.